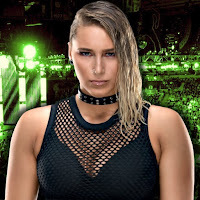 Last month, it was reported Rhea Ripley was out with a leg injury that was believed to be a minor sprain at the time. Ripley had been wearing a boot while recovering from the injury, and wasn't expected to miss much in-ring time. At WrestleMania Axxess, Ripley had a match against Kacy Catanzaro, but was seen back in her boot after the match, according to Squared Circle Sirens. After undergoing new tests it was reported although nothing is broken, Ripley has some torn ligaments and is expected to be out of action for up to eight weeks. The former NXT UK Women's Champion lost the title to Toni Storm at NXT UK TakeOver: Blackpool back in January.